Option #1: An actual ebook’s formatting and design. Submissions in MSWord. 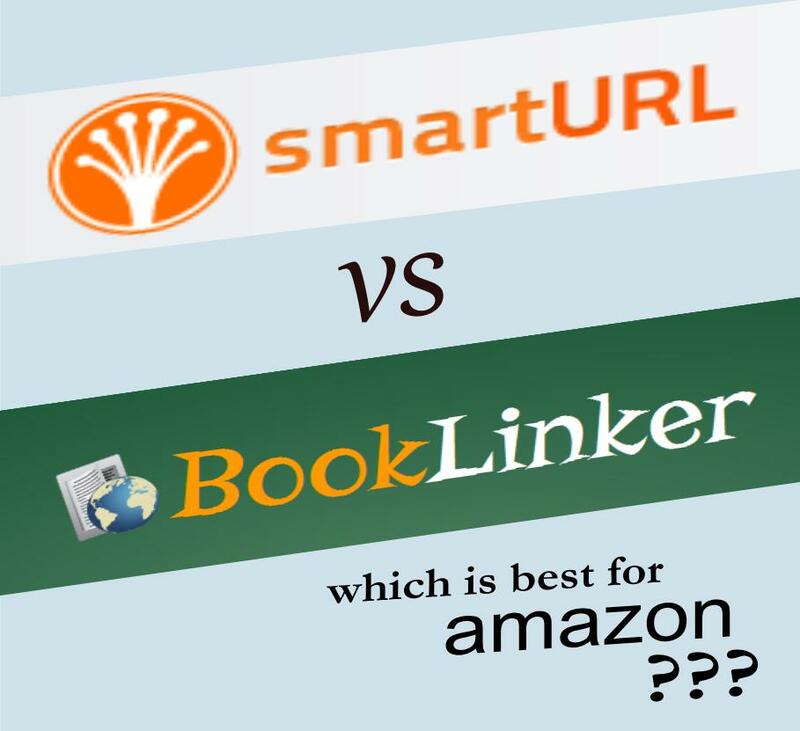 Option #2: Amazon or other retailer’s book link to ensure they’re discoverable in regards to keywords for titles, description and categories. Option #3: A link to the blog/website that serves as your main marketing tool for a critique of what is presently useful and what’s missing or recommended. Please Note: Even if you can’t attend the live webinar, registering for this live version will enable you to receive the On Demand webinar and a personal critique of your material. Purchasing the On Demand version after the live event will not include a critique. Ebooks are revolutionizing the world of authors, readers and retailers. The advent of digital publishing enables any writer to reach her/his audience all over the world instantly and free of cost to the author. Royalties are far better than those of traditional publishing, with most retailers paying authors 70% of each ebook sale. Because of this, ebooks are exploding with opportunity. It’s never been a better time to be an author and sell ebooks, but it’s also necessary to do it wisely. The successful author must do more than just write a great book; they also need to understand aspects of book production and make themselves visible to a global population of readers. The webinar is broadcasted via the internet with live audio delivered through your computer speakers or over your telephone. The live webinar’s visual presentation is displayed directly from the Presenter’s computer to your computer screen. The Q&A is managed through a chat-style submission system with questions being read and answered by the Presenter for the entire class to hear. In the event some questions are not answered during the live session, an e-mail with questions and answers will be sent to all webinar attendees. By attending the live webinar and/or asking questions, your full name may be stated during the live event and captured in the recording. eBookSoda has daily deals for readers and authors. With millions of books out there, it’s hard to find the stuff you like. 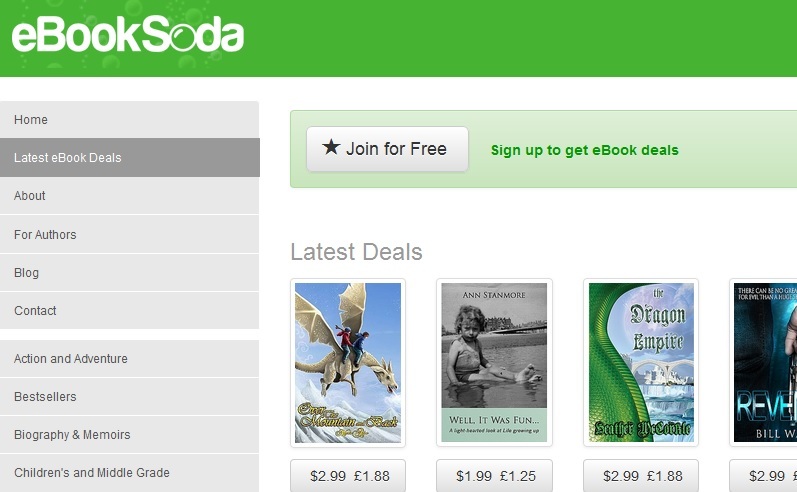 eBookSoda emails you with great deals on highly rated ebooks in your favorite genres. So sit back and let us do all the hard work. Authors can apply to have their books featured. Books must be have a good cover, be free of obvious typos, average 3.5-star or higher reviews with 8 review minimum (unless brand new), priced at or under $4.99 and meet other requirements. Multiple titles are okay but they ask for a 2-week period between submissions and 60 days before the same title is resubmitted. Send us your title by completing the online submission form. If successful, we’ll create your promotion, email it to our readers and feature it on our website. With the explosion in new books, promotion sites pop up frequently. Some don’t last more than a few months. Does this one have a competitive edge–what are your thoughts? We’ve known and loved them since 2008. By internet standards, Smashwords was way overdue for a facelift. But this is more than a new look; this is welcome additions, hundreds of changes also behind the scenes to improve the indie author experience. Mark Coker explains the highlights below. 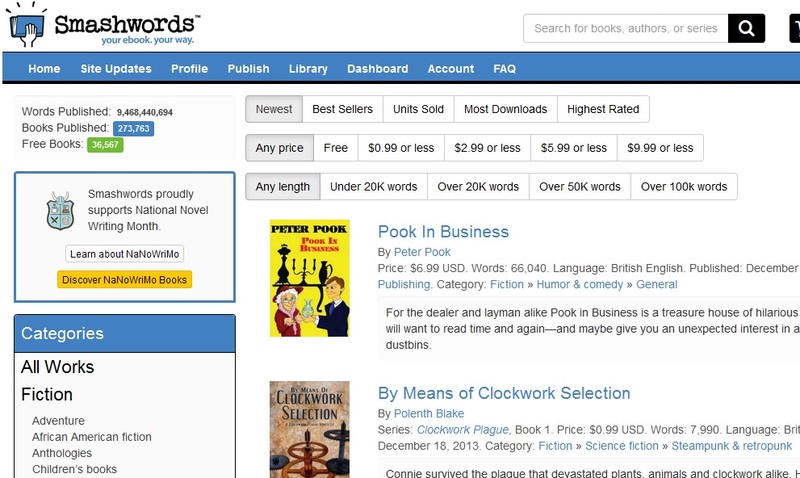 The Smashwords home page – We doubled the number of books listed on the Smashwords home page from ten to 20, added 27 new book category filters to increase discoverability, added live stats for the number of books published and the number of free books, and organized the navigation elements around logical categories. Responsive design – We adopted what’s called a “responsive design,” which among web designer circles refers to a design approach that optimizes the user’s experience across different browsers, devices and screen sizes. View the site on your desktop computer and then resize your browser to see how every page’s content resizes and reorients as you make the width narrower or wider. Indie authors have primarily loved Smashwords, except when complaining during the formatting lessons of the Style Guide. Please support them with a visit. And let us know your thoughts on Smashwords here in the comments section. Coming of age for Mid-Lifers? Award winning author, Lynne Spreen of Dakota Blues, discusses her bestselling novel. Hosted by Jason Matthews and Marla Miller. Join us live or watch later on YouTube: Indie Authors #65 Lynne Spreen. Please share with writers, coming of agers and Mid-Lifers.